What a stunner. A shocking, commanding novel that transports the reader to the tail end of the 60s, to a dusty, sun bleached and grubby California. The same summer, in fact, of the moon landings and Woodstock, though such historical events seem quite removed from the reclusive society of the ranch. It's strange that a novel set 40 years ago feels so un-historical in tone- it feels to immediate, too contemporary to be set so long ago. 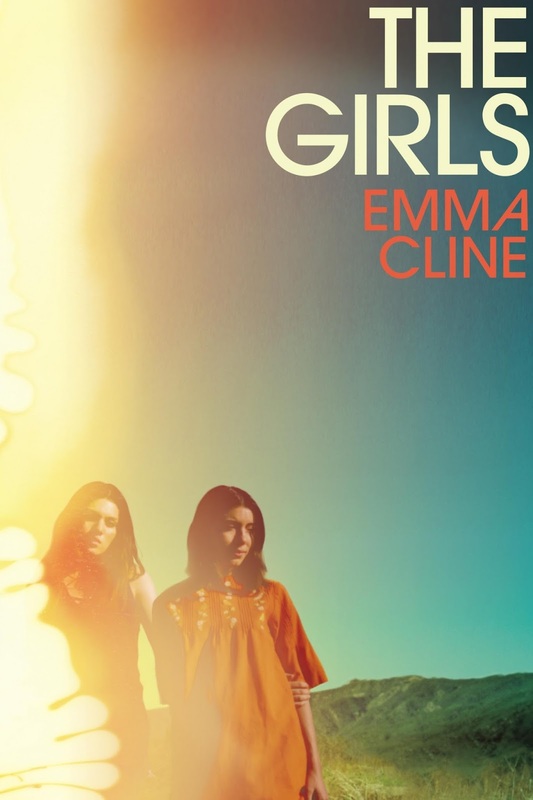 The book's narrator Evie, is technically recounting her story from the relatively safe anonymity of middle age, though the book is set predominantly in the shimmering heat-haze of 1969. The summer that Evie was 14, mournfully waiting to be sent to boarding school by her divorcing parents in an attempt to repair her generic teenage problems. Evie submerges the reader in her listless adolescence. Her boredom, her frustration at her vaguely hippy mother, constantly trying out men as prospective next husbands, her inability to connect and her lack of belonging stand out starkly from the page. She is lost and she doesn't care who finds her, if anybody ever bothers. Evie embarks on quite the journey as a character. She starts off as something straight out of a Judy Blume novel; stretched between naive childhood and uncharted adulthood, already painfully aware of the double standards set by gender roles. Already assessing herself and her body with the critical male eye. She is so hung up on the idea of love, so terrified that she might never deserve it. She is needy, lonely, growing apart from her best friend Connie with whom she practises the rituals of adulthood; they listen to lame records, read trashy magazines and try on clothes together. Evie flirts inexpertly with Connie's older brother- knowing that she doesn't really like him, cataloguing his flaws, but desperate to be noticed, to be validated by male attention. She is passive and prone to drifting, the sort of character that things happen to, rather than that makes things happen. By the end of the novel, she's a sun-browned, skinny 'Girl' narrowly missing out on being a part of one of the most shockingly inexplicable murders of the decade. More by accident of circumstances than by and abundance of moral fibre. 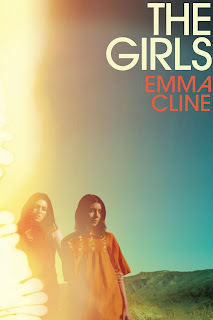 The Girls is a fictionalisation of the Manson Family, of Charles Manson and the raggedy cult of women that orbited him. Here, the charismatic, egomaniac Russell stands in for Manson, though he loiters at the edges of the story, talked about more often than seen. Cline focuses instead on The Girls, his hippie harem, his acolytes. Front and centre is the dark-haired Suzanne; a hypnotic beauty that first ensnares Evie's attention; it's Evie's desire to be close to Suzanne that leads to her joining Russell's community. Evie's love for Suzanne, her thirst for her approval form much of the novel's plot- Evie's gaze is never far from her. The ranch, the Girls; they provide a new world to Evie, one that she can be a part of, one she is accepted by. She can shed her adolescence here, surrounded by the amorphous flock, promised love. It's more about how hard it is to be a girl, generally, than being a very specific girl in a specific time and place. It's about the gruesome struggle of female adolescence, more than the violence that the Russel/Manson family would eventually go on to commit. It's a testament to Cline's masterful prose that a book with a relatively sparse plot (when you actually think about it) and with such horrific, mindless violence can feel like an illuminating and beautiful experience. I was totally absorbed in the world of this book, in the grubby intrigue of the ranch and its girls. It's not difficult to understand their desire for a more meaningful life, a freedom from responsibility and domestic routine. It's that identification, that alliance with people that are essentially criminally psychotic that is so unsettling. Even in a fictional version, 40 years after the fact- the cult, Evie's circumstances; it all seems so easy to fall into. A compelling novel, written in some of the most striking, most beautiful prose I've had the pleasure of reading in a long time. Themes of adolescence and rebellion, of belonging and sisterhood are all folded into her prose. Cults and their enigmatic, delusional leaders are ceaselessly fascinating, and Cline transplants a fiction onto a well known story brilliantly. Suzanne and Russell felt so real- perhaps because, really, the are. This book is going to be huge.